How does it feel when you touch, witness or are in the presence of something or someone that has “Soul”? It is difficult to describe, but you know when it happens... there is a sense that you are in the presence of strength that comes from conviction, passion and understanding of a mission... I was lucky enough to experience such a thrill last week through a phone conversation with Pamela O’Hara, CEO of BatchBlue Software; my conversation with Pam centered on BatchBlue Software and their main product, Batchbook. Q: How did BatchBlue came into existence? Pam: We didn’t set out to create a CRM system, all we had in mind was to create something useful for those small business and startups and we knew that the most important thing is their customer base, we wanted to give them a holistic view of the relationship with their customers. Small business such as music teachers, financial advisors, small retailers, niche manufacturers are passionate about what they do and who they do it for and we wanted to give them technology tools that would enhance and facilitate those customer relationships, not automate them. Small business need help understanding who their customers are, how the relationship with those customers evolve and what are the common traits that distinguish the most beneficial relationships, how to get more of those, how to be more efficient at approaching these customers... Batchbook allows our customers to capture and track their customer relationships, look across all that information and get to “Look at that...” realization moments. Q: What is your take on Social CRM? Pam: It is very early yet; Social until now has been focused on listening, responding quickly, engaging and promoting brand building activities. I see Social switching from “defense” to “offense”; Business need to include their customer’s social activity as part of that holistic view of the relationship, the systems that support them need to take advantage of this information and account for it to help identify the most beneficial customer relationships and leverage social as a powerful channel to manage the communication and collaboration. 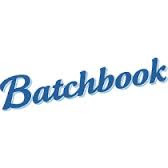 Q: Where is Batchbook today? Pam: We are in a really good place; in our most recent version we built the mechanics to integrate with partner products allowing the information to flow; we have identified partners that provide valuable functionality and added value to our customers and we are beginning to roll out those integrations. Q: Are these the same partners that joined you in The Small Business Web? Pam: mostly yes; these are a group of companies that share our passion for small businesses and have joined forces to serve and increase the numbers of them benefiting from SaaS services; there is a lot of work to do to bring small businesses to the cloud and by joining forces we can do for small businesses what the likes of Oracle and Salesforce have done for major enterprises and even more; the diversity of needs among small businesses is amazing and a single company could not satisfy those, instead we are building this association of companies with agreed technical and business philosophies which will result in a richer solution set to satisfy those diverse needs. So far The Small Business Web has been a loosely organized group but we are taking steps to make it easier for a small business that uses one of our products to adopt and benefit from another member product; this is good for the small business as they achieve more with less effort and it is good for us as it has been shown that customers that use more products are more likely to remain loyal.